To consolidate ourselves as a leader company in development and manufacturing of textile products, through a customized service for all our clients. To generate prosperity to our stakeholders, partners, and team members, while being responsible with earth preservation, for future generations. 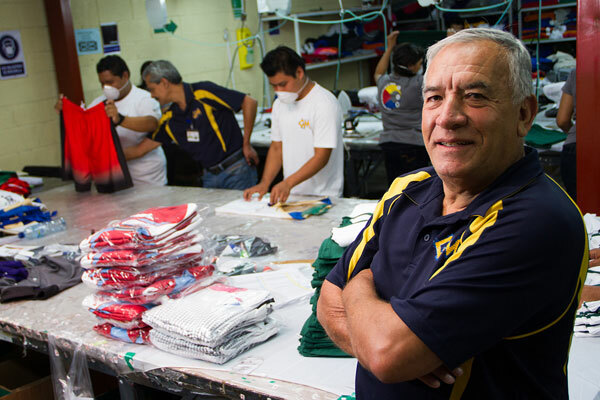 Our company was founded in 1995, in the small basement of a house near the park in San Pedro Sacatepequez, in an area of 80 m², working as an assembly plant and hiring 15 people. As time passed, with effort and devotion from our team members, the company was transformed into what GRUPO MATEX is today, in an area of 3,400 m², directly hiring more than 200 families and subcontracting several hundreds more. During these 20 years, we have evolved from a small assembly plant to wearing-apparel leaders in the industry. Through our products and services, the evolution within the market, and the demand from our customers, we have been in constant growth.